My parents were on vacation for a week and the maid had quit the job. It was my responsibility to take care of my home. During the course of time, I learnt many household chores. Everyday, I would see the lovely Rangoli's drawn in front of everyone's house. I was thinking hard, what could be drawn for a week without repetition? I noticed each and every Rangoli for 2-3 minutes to understand its complexity. Once I noticed a Rangoli drawn without any dots. 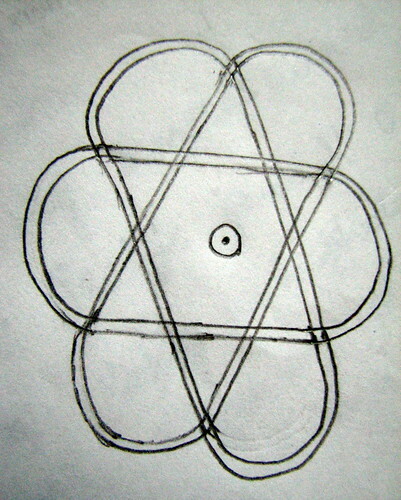 I tried this simplest design on a sheet of paper before I drew in front of the house. PS: The quality of the pics are low and shown only for illustration. Draw two triangles opposite to each other. Draw an outline to both the triangles. Now, join the edges of all the lines. Fill with your favorite colors. 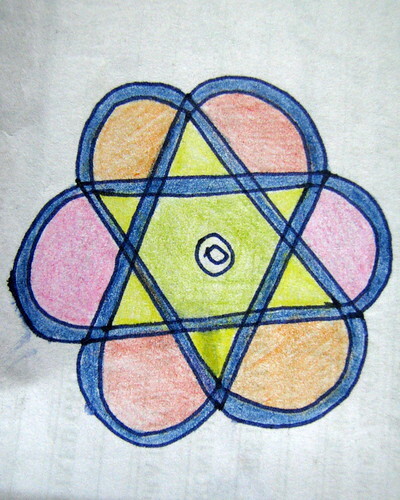 I call it Star Rangoli. Post a pic of the one in front of your house! How abt publishin a book...'365 different rangolis in as many days' :D how abt tryin the udupi rangolis...they seem fabulous! That's an easy and cool Rangoli. Happy rangoli making to you!!! These look some beautiful...wonderfully done! Your rangoli maybe simple, but it will be superhit in Israel. 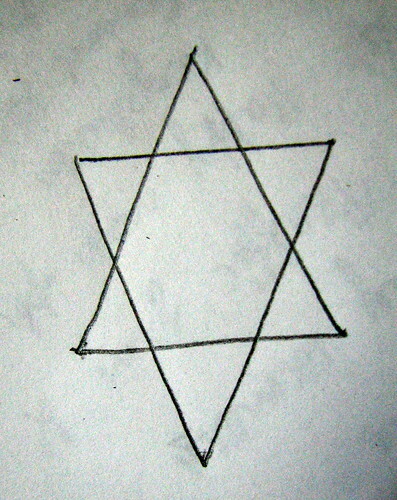 It afterall resembles the Star of David. @ Joel,Let me try a few good ones and I can participate better. 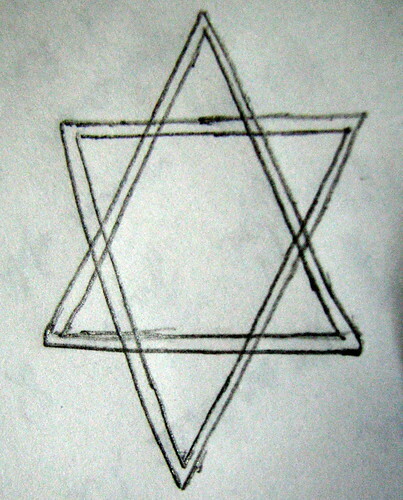 @ Priyank, Never knew it was called Star of David, though I've seen it many places. Even I love making different Rangoli designs every year. This Diwali I am surely going to pick something from here. Lovely designs must say! Thanx for sharing.